Our QE-Pro-Raman Scientific-grade spectrometer is a preconfigured for 785 nm Raman excitation, using a 900 lines/mm grating and 50 μm slit. To complete your Raman spectrometer system, add a 785 nm Raman excitation laser, sample holder and software. This is a very sensitive system for demanding low-light level Raman spectroscopy. The QE-Pro Raman spectrometer can achieve up to 90% quantum efficiency with high signal-to-noise and rapid signal processing speed. 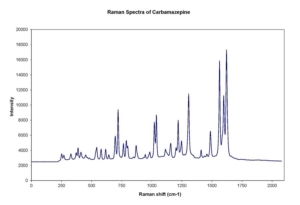 Raman spectroscopy is a rapid and non-destructive measurement technique used to examine a sample. It provides information about chemical structure, phase and polymorphy; crystallinity and molecular interactions.